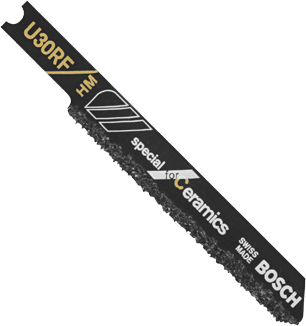 Innovative Bosch carbide-coated special for ceramics blades provide a solution for cutting hard and difficult materials. Appropriate eye and respiratory protection required. U -shank design. Application Ceramics, glass, fiberglass 3/64" - 5/8"